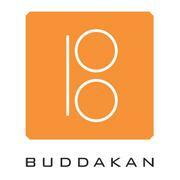 Buddakan, Stephen Starr's very busy, well-rated, modern Asian inspired restaurant in Old City, is now looking to add personable and experienced BUSSERS to our team!!! We are hiring for a part-time position with immediate availability. We are currently looking to grow our Busser team with experienced, highly motivated, and friendly hospitality professionals. The ideal candidates will have previous restaurant experience as a Busser/Runner/Server, fine dining service knowledge, daytime and weekend availability. We offer dining discounts in over 30 restaurants, and many advancement opportunities with a growing restaurant group!